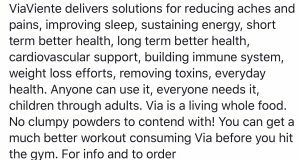 We are a very prominent Via Viente team and we are totally committed to helping you receive the maximum health benefits with Via and build a business if you desire as well. 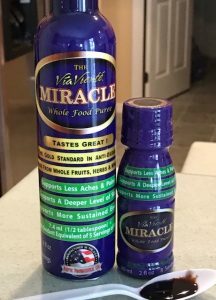 We have been using ViaViente and have been authorized distribution agents since 2005 and have gotten so many health benefits that Via will be in our daily diet as a life long product. Please call us and we will be happy to share our experience with Via Viente with you. 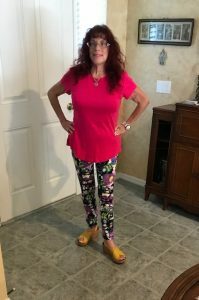 If you would like to receive the latest developments and research subscribe to my FREE newsletter. Send an email to vitalnectars@aol.com with “newsletter subscriber” in the heading.